CHEYENNE, Wyo. 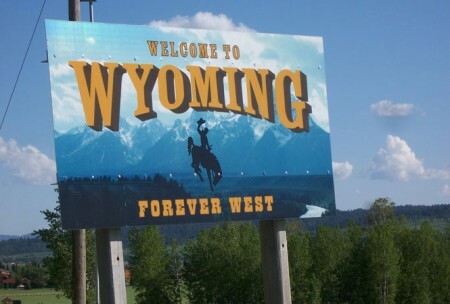 — The Wyoming State Senate voted Tuesday to approve a bill to outlaw discrimination on the basis of sexual orientation or gender identity. The Senate voted 24-to-6 on Tuesday to send the bill to the House. The bill would add prohibitions against discrimination on the basis of sexual orientation and gender identity to a range of state laws that now prohibit discrimination based on other factors including race, age, disability and political affiliation. The bill has exemptions for religious organizations. Supporters of the bill say some gay and transgender state residents have experienced discrimination, including being fired or assaulted. Jeran Artery is director of Wyoming Equality, a group that has fought for increased rights for gay, lesbian and transgendered people in the state. The group supported the bill. “Honestly, I’m not surprised because this is a business decision and there are a lot of businessmen in there that wanted to send a clear message that Wyoming is open for business and we don’t discriminate,” Artery said after the Senate vote. Speaking on the Senate floor, Sen. Cale Case, R-Lander, said he was proud of the Senate’s action on the bill. Similar legislation has failed in past sessions. “I think this does a lot to do something about the legacy of tragic events in Laramie that painted this great state with something it didn’t deserve,” Case said. Wyoming’s place in the history of the gay rights movement is linked to the 1998 murder of University of Wyoming student Matthew Shepard in Laramie. Police said he was targeted for a fatal beating because of his sexual orientation. Federal hate crimes legislation now bears his name. Bill opponent Sen. Curt Meier, R-LaGrange, said on the Senate floor that federal law already prohibits discrimination against people on the grounds that they’re transgendered. He said he saw no reason for the bill to exist. Sen. Hank Coe, R-Cody, spoke in support of the bill.